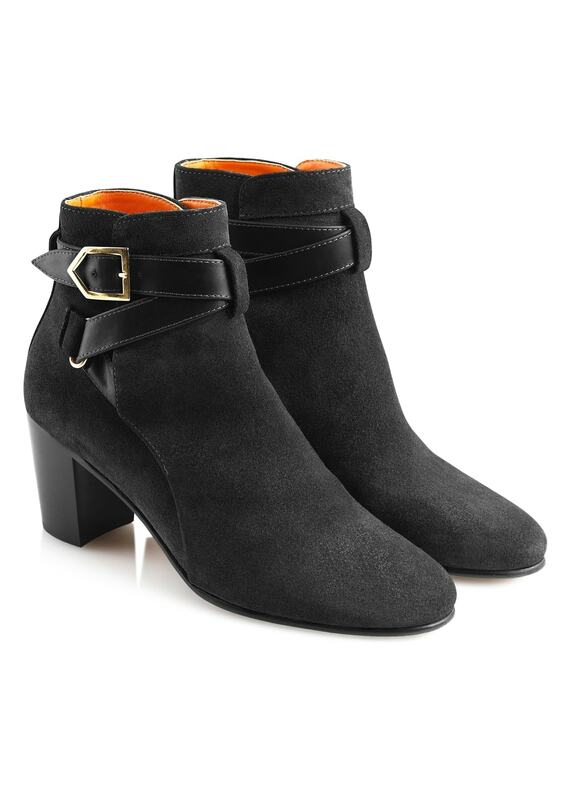 The new Fairfax and Favor Kensington Boot is a heeled ankle boot crafted from supple nubuck suede with a branded ankle strap buckle. The new Fairfax and Favor Kensington Boot is a heeled ankle boot crafted from supple nubuck suede with a branded ankle strap buckle. These boots are the ultimate in street and country chic.